Phresh off the runway, orrrrr? We can’t be the only ones to notice how HAUTE Rihanna looks in the new campaign for Balmain’s Spring/Summer 2014 collection and we couldn’t be more pleased with their choice of her as the face! Being a relatively new fashion house, creative director Olivier Rousteing has taken Balmain from obscure to a home name in just a few years. His pieces give an urban twist to classic sihlouettes and are characterized by heavy detail, gold hardware, intricate embriodery, bold colors and prints. Citing Rihanna as one of his main inspirations for the label, Rousteing saw his vision come full circle as she modeled his edgy designs in front of the cameras of Inez van Lamsweerde and Vinoodh Matadin for the new ads. “In front of the camera, she makes you feel like she is the only girl in the world,” and in these pics, we couldn’t agree with him more. Of course, our personal favorite is her in the houndstooth look (for obvious reasons! ), which fits right into the huge houndstooth trend we’ve been seeing this fall/winter. 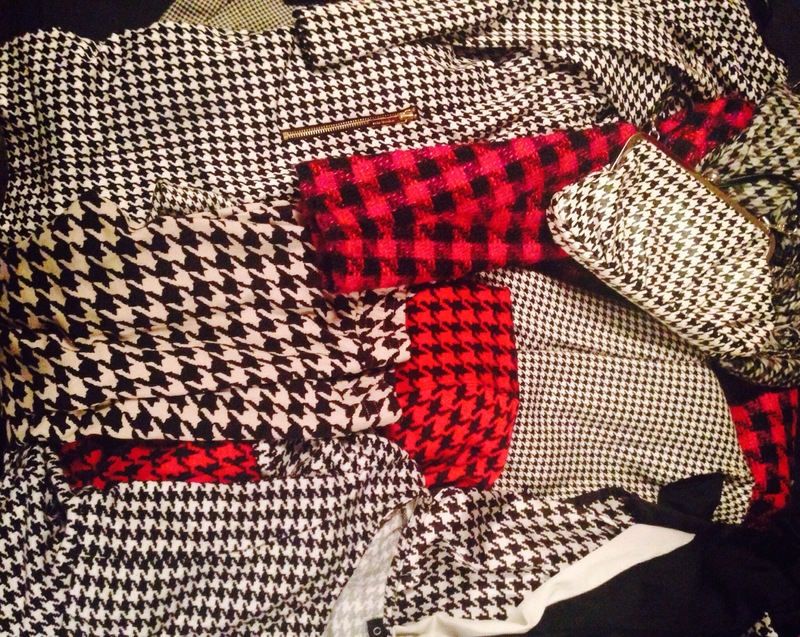 If you couldn’t tell already, we are absolutely obsessed with houndstooth print! Over the years we’ve began to collect as many houndstooth pieces we could find, so it was only right that we incorporated our favorite print into our brand image. Check out the Balmain/Houndstooth gallery for more houndstooth looks, including some from our personal collection!